These are some of our frequently asked questions. Hopefully you will find the information you need, but if you can't find, please contact us and we'll be happy to help. Where can I find the latest travel information? Where can I get airport information? The website isn't working. What do I do? What is included in my All Inclusive holiday? Are transfers included in my holiday price? Can I make any special requests for my holiday? When will my room be allocated? What do I do if I want to amend my holiday? What payment types do you accept, and what charges apply? What should I check in for my flight? What upgrades are available on my flight? How much luggage allowance will I have? Can I put two passengers' luggage in one case? Can I use more than one case? Do infants get their own luggage allowance? What can I take as hand baggage? What are the current passport regulations for my holiday? What health and safety advice can you provide? How do I opt-out or unsubscribe from marketing communications? Full details of how to get in touch with us by phone and email can be found on our Contact Us page, together with opening hours. You can also ask questions and share information on Facebook and Twitter. Where can I get the latest travel information? Our Latest Travel Information page includes travel and destination updates plus links to further information. Our airport information pages contain details of where to check-in at each airport we operate from, airport parking and links to the airport websites themselves. If you have any problems with our website, please try clicking "Ctrl" and "F5" keys together and try again. This reloads the web page from scratch, and usually fixes any problems. If it still doesn't work, just give us a call on the number above. Our All Inclusive holidays make planning your budget easier. They include almost everything in the price and offer exceptional value. Every hotel and Nile cruise ship is different, so be sure to check the details in each description. Also, the price and rating will give you an idea of the quality and quantity of facilities included in the price. A selection from the daily breakfast, lunch and dinner menus. A range of locally produced alcoholic beverages available for a minimum of 12 hours per day at selected bars. A choice of daily snacks available. A variety of soft drinks and hot beverages available for a minimum of 12 hours per day. Day and evening entertainment organised by the hotel. Your Red Sea Holiday's Customer Services Representative will guide you through your All Inclusive holiday at your welcome meeting. They will tell you about activities, theme nights or entertainment planned during your stay, and inform you of any 'luxury' items that might not be included (where possible we indicate these charges). Not all bars and restaurants operate the all-inclusive arrangement and supplements for some premium brand drinks may be charged. In some hotels, guests have to wear a wristband or other means of identification during their stay. These are issued at check-in, and you surrender your wristband when you check-out at the end of your holiday. All full price holidays include return transfers by shared coach to and from your accommodation, unless you are otherwise advised at the time of your booking. Where a late adjustment discount is applied to a holiday, typically for any booking within 35 days of departure, resort transfers will be at extra charge; you will be advised of your options at the time of booking. When you make a special request we will pass this on to the supplier who will try their utmost to accommodate this, however this cannot be guaranteed. The provision of a special request does not constitute a term of your contract with us. Please refer to our booking conditions. Your room will be allocated once you arrive at your accommodation and register. Your room has been reserved from 12 noon on your departure date from the UK to enable immediate occupation. Please note: when travelling on flights departing the UK after midnight, your room will be reserved from 12 noon the previous day. You must, therefore, normally check out of your room at 12 noon on the day before a night flight home (after midnight) or on the departure day for an evening flight, unless a late check-out room has been allocated to your booking. Our terms and conditions stipulate that you are required to take out adequate insurance for your holiday. You are required to take all insurance documents on holiday with you. If you are looking to amend your holiday or add another person to the booking, we will need to speak to the 'lead passenger' - the person in whose name the booking was made. The lead passenger can call us to make an amendment query or to confirm an amendment. Amendment or cancellation fees may apply. Your invoice will be sent by email within 24 hours of your booking being made, to the email address you provided us at the time of booking, or to your travel agent. We accept payment by major credit and debit cards. 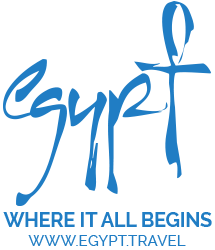 If you book through a travel agent, any money which you pay to that travel agent under or in contemplation of any contract with us is held by them on our behalf until the date of actual payment to us. If you wish to make a payment please call our Customer Service Team. You will need to have your booking reference and credit card details to hand. We accept Visa and MasterCard debit and credit cards. We do not accept American Express. Payment for a holiday booked online cannot be made using multiple credit cards. If you wish to use more than one credit card to book your holiday please call us. When you make a holiday package booking you must pay a deposit plus any insurance premiums. No deposit is payable for infants under the age of 2 years on the date of return. Payment of the rest of your holiday price is due at least 10 weeks before the date of departure. If you do not pay in full by 10 weeks before departure your holiday will be cancelled and you will lose your deposit. Tickets will not be issued until your holiday has been paid for in full. For holiday packages that include flights chartered directly by Red Sea Holidays, the deposit is £59 per person, including any children or free group places. For non-charter flight options, or if we have to make special flight arrangements that involve non-refundable “restricted fares”, we reserve the right to charge you a deposit equal to the full cost of these flights plus £59 per person, including any children or free group places. The total deposit required will be advised to you before you confirm your booking. When you make a flight-only booking, full payment is required at the time of booking. When booking within 10 weeks of departure, full payment is required at the time of booking for all package types. Please check in for your flight at the time specified on your tickets. If your ticket does not notify you of a check-in time, then you must check in at least 2 hours prior to your departure. Please note: charter airline check-in desks close 1 hour prior to the flight departure time. Allow for road works or other potential delays when planning your journey to the airport. After check-in proceed to the departure lounge when called. Many airports do not give boarding calls so it is essential that you check the computer screens in the departure lounge. A checked-in luggage allowance of at least 20kg per person, excluding infants. A single item of hand luggage. This is typically limited in size and weight, but is in addition to your checked-in luggage allowance. Additional luggage allowance can be purchased from your airline up to 7 days prior to departure. Excess baggage charges apply if you exceed the allowance shown on your tickets. See the luggage section on our flight information page for more details. Should you wish to share a suitcase, you can do so as long as you do not exceed the combined passenger allowance (for example, 2 x 20kg = 40kg) and no single suitcase weighs more than 30kg. Generally, you can take as many suitcases and bags as you wish as long as you do not exceed the luggage allowance. For example, if your allowance is 20kg you could take 2 bags each weighing 10kg or 3 bags of 10kg, 5kg and 5kg. This is not true for all airlines, however, so please check with your airline before the day of your departure. Infants do not get their own luggage allowance, unless you purchase a seat on the plane for them. If you have purchased a seat, then they have the same allowance as an adult. This means that you are then able to carry a car seat, travel cot and pushchair in the luggage hold. Most airlines permit each passenger to carry one item of cabin luggage with a maximum length of 45 x 28 x 22cm (including wheels, handles, side pockets, etc), and a maximum weight of 5kg. Some airlines may allow slightly larger dimensions. If you are in any doubt, please contact your airline directly. Laptops and other large electrical items (e.g. a large hairdryer) will have to be removed from cabin luggage for separate security screening. Please note: a laptop bag will be regarded as your one item of cabin luggage. Liquids in containers of more than 100mlcapacity must be packed in your checked in baggage. The liquids must be in individual containers not greater than 100ml capacity. All containers must be placed in one transparent re-sealable bag (such as 'ziplock' bags or bags with pressable seals), no larger than 20cm x 20cm (8" x 8" in size and not larger that one litre in capacity. The containers must fit comfortably inside the bag so it can be fastened closed. Only one transparent re-sealable bag per passenger is allowed. Larger bags or bags that are non-sealable, such as fold-over sandwich bags are not allowed. The one transparent re-sealable bag must fit into your single piece of hand luggage. Each passenger must remove their clear plastic bag from their hand baggage and place it in on the conveyor belt for X-ray screening. People who travel with infants may carry baby formula or juice. When necessary, passengers may carry diabetic products, medicines (liquid, gel or aerosol), insulin and other medicines in quantities required for the duration of the flight, presenting the relevant proof of authenticity at security control points. These restrictions do not apply to luggage checked into the aircraft hold. This may contain liquids, creams and other items of similar texture, in larger quantities. You may take on board liquid items of any size that are purchased after the security check in the Departure lounge (sometimes referred to as 'Airside') at any EU airport. Most duty free or similar purchases will be given to you in a special sealed bag. Do not open this bag until you have reached your final destination. You should also retain your proof of purchase throughout your journey. You will be required to show it at all transfer points. If you are going to transfer or are in transit in any other airport, please make sure that any Duty Free items are delivered to you in transparent bags sealed by the vendor and containing the sales receipt. These bags must remain sealed until after the final destination. Articles not sealed properly may be confiscated by authorities at security control points. 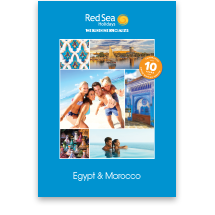 All adults taking holidays with Red Sea Holidays need a 10-year passport and infants and under 16 year olds need a 5-year passport. If you need to apply for a new or replacement passport, we recommend that you do so at least 12 weeks prior to your departure date, although the UK Passport Office aims to make these available at shorter notice. First time passport applicants over the age of 16 years may be required to attend an interview as part of the application procedure. Some countries require passports to be valid for a certain period after leaving that country and we recommend that you check with that country's Embassy at the time of booking. Citizens of other EU countries, of non-EU countries and holders of British Subject Passports should check with your travel agent or your own Embassy or Consulate in the UK to confirm passport and visa requirements. Please Note: It is your responsibility to be in possession of a valid passport and any visa that may be necessary. Be certain to apply in time. In the absence of valid documentation, you will not be allowed to travel. A visa is required to enter Egypt (unless your stay is limited to Sharm El Sheikh). This can be obtained on arrival, and costs approximately GBP25 per person, payable in Pounds Sterling or US Dollars. For further information on entry requirements, please check with the Egyptian Consulate General in London on 020 7235 9719. Our Holiday Guide, which will be sent with your tickets, contains useful safety advice, and on arrival in resort you will receive a welcome envelope offering top tips for a safe stay abroad. For up to date information, please check with the Department of Health Leaflet T6 which also includes E111 form, your local doctor or a British Airways Health Clinic. You should note that there are no compulsory requirements for travel to any Western European or North American destination, or for travel to Malta. Customers travelling to other worldwide destinations, including Turkey and Africa are recommended to obtain vaccinations or tablets for protection against hepatitis A, polio and typhoid. In some areas malaria is also a risk and tablets are recommended. If you are advised to take malarial tablets, we strongly recommend that you do so. Most hot climates attract a variety of animal and insect life very different from that in the UK. Do not be surprised to find insects in your accommodation. If you are at all concerned by insects, your accommodation will arrange to have your room sprayed. The risk of insect bites can be reduced by using repellent sprays and covering up, whenever possible, especially in woodland areas and at night. Have a small first aid kit with you containing plasters, insect repellent, antiseptic cream along with any prescribed medication. In some countries, general standards of hygiene, care and safety may differ from those in the UK and you should, therefore, exercise greater care for your own protection and health in matters of hygiene and choice of food and drink. Take particular care with raw food, such as fruit and vegetables, and shellfish as well as with drinking water and ice in drinks. Some holidays or excursions sold by Red Sea Holidays may include activities which are defined by your insurers as 'hazardous'. We recommend that, if you intend to take part in any potentially hazardous activity, you should consider purchasing an upgrade to your normal insurance policy. In Egypt, vehicles travel on the right. You should, therefore, take extra care to ensure your safety and that of your children who may be completely oblivious to any danger. Watersports are provided by the individual hotels. Most have adequate insurance but it is our customers' responsibility to ensure insurance provides adequate cover. It will be assumed that all customers participating in watersports are able to swim. We strongly suggest that all customers refrain from high risk activities whilst on holiday. Equally, we suggest that customers refrain from the use of independently operated watersports (particularly jet skis). Theoperators frequently have no insurance or inadequate facilities. Due to the increasing move towards smoking bans in public areas, it is not uncommon to find enforced smoking restrictions in operation at some hotels, bars, restaurants and airports. If you feel that this may affect your enjoyment of your holiday we advise that you check the specific destination information on this site thoroughly before you confirm your booking. Adverse weather patterns, such as heavy storms, flooding and high winds may affect your chosen destination at certain times of the year. Whilst we endeavour to give you accurate information, the information we give about temperatures, rainfall and hurricanes you could expect during your holiday are guides only and we cannot guarantee good weather. Tropical storms and hurricanes are unpredictable and, should they happen, will inevitably interfere with hotel facilities, water sports, electricity and water supplies and drainage systems. Rest assured, whilst in resort, should your destination be threatened by severed adverse weather, we will contact you as soon as possible and make any necessary arrangements on your behalf. Should your destination be threatened prior to departure we will endeavour to contact you, where necessary, to discuss available options. Click the "unsubscribe" link shown at the bottom of the e-mail. This is by far the quickest way to unsubscribe, and takes effect immediately. Please send your request to: Red Sea Holidays UK Ltd, 2nd Floor, 4 Snow Hill, London, EC1A 2DJ. It is helpful if you can include any reference number shown on the direct mail. Because of long production timescales, it can take up to 4 weeks for your details to completely clear our system. Please bear with us during this period, and accept our apologies for any inconvenience caused.